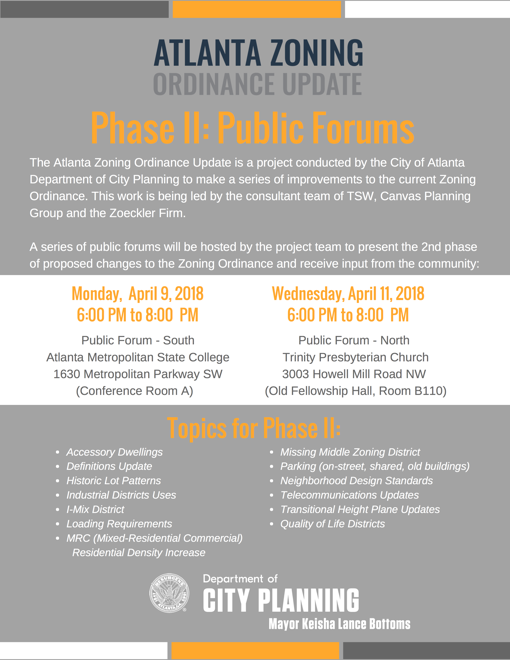 Back in February, we passed Atlanta Zoning Ordinance Update Phase I - the "Quick Fixes" phase. The City is now rolling out Phase II, and like Phase I, it covers a lot of ground. If you have any questions, concerns, or comments, please attend the forum, come to the next NPU meeting, or contact our Land Use team at land@npu-s.org.